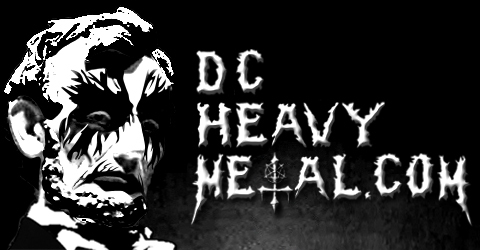 September marks the seven year anniversary for DCHeavyMetal.com so we’ve been giving away tickets to tons of shows. 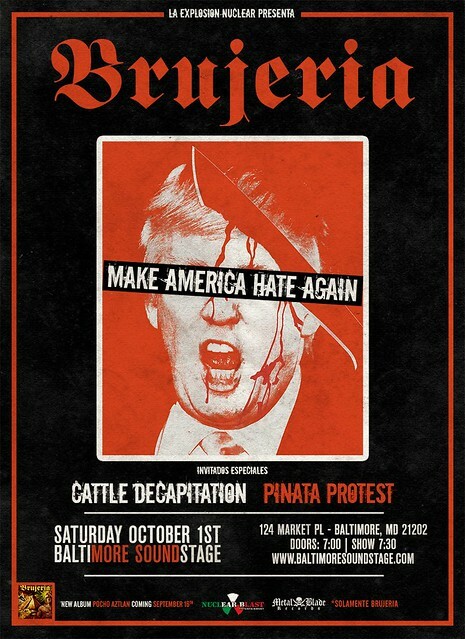 We’ve still got one more give away this month and that is for a pair of tickets to see the Mexican gangsters in Brujeria at the Baltimore Soundstage this Saturday, October 1st of 2016! To enter: leave a comment on this post telling me what your favorite metal band that originates from any country outside of the US. Then at 12pm EST this Friday, September 30th, the contest will close and I’ll pick a winner at random (using Random.org) from all valid entries to win the tickets. Please don’t enter if you can’t go, there’s not a lot of time between the end of the contest and the show. Be sure to use a valid email you check regularly so I can contact you if you win. Don’t worry, I won’t add you to any spam lists or sell your info or anything sleazy like that. If you can’t wait to see if you win or the contest is already over when you read this, then you can get tickets from Ticket Fly for $22 here. Brujeria is the Spanish word for witchcraft and the band keeps the identities of its members a secret. There have been members of Fear Factory, Faith No More, Carcass, Napalm Death and many others all rumored to be members though, and if you’re at the show you can try to peek under their bandanas and figure out their identities, at your own risk of course! Brujeria isn’t a band to be fucked with! Also on the bill is the vegetarian death metal band Cattle Decapitation, a band who keeps putting out solid death metal albums regularly. The tour opener is Piñata Protest, a punk band from San Antonio, Texas and local support is provided by the grind band Ampallang Infection. Now check out these videos by the bands playing and let me know what your favorite metal band is that comes from another country!